I’ve been thinking about this topic for awhile. I believe that UX is in the middle of an era where we are ready to put a stake in the ground and define who we are and what we do. We all talk about this, sometimes in similar ways some times in different. We argue about this… every single conference has a speaker that encourages us to do something about this, but we are still hesitant to draw the proverbial line in the sand and really define ourselves. I couldn’t agree more with Jesse James Garrett when he said… “UX is a mindset for which there is no cure”. And I think by coupling that point with the knowledge of the material of our craft, we can come to a good place in understanding who we are and then move UX forward as a profression. The problems with not defining and owning who we are have been talked about since the dawn of UX. But spinning this issue another way and looking at the problem with trying to define these things (as opposed to not defining them), one can see that a major issue that we face is that once we have a definition for what a UX professional is, someone, somewhere, feels that they will be “left out” of that definition. Said in another away, many of us feel that if UX is defined in a granular way, then we will no longer be able to call ourselves UX professionals, and will once again be roaming soulless around the career desert. This is anxiety provoking and thus we hold onto the churn and arguments in order to keep ourselves “in the game”. This, of course, only sets UX back as a profession because it makes it harder and harder for those outside of UX to understand where and how to invest their money in our talent. Therefore, in order to quell this fear, and calm our nerves, I believe that we all need to understand that UX really is a mindset that we are all born with or grown accustomed to, and that we not only share that mindset, but couple it with the materials of our craft in order to create this thing called UX. What am I defining as the materials of this craft? Code. Yes that’s right, I said it, code is the building block for digital products, and since that is what we all come together to design, I’m calling code the material of our craft. Thus knowing that UX is a mindset that designs and manipulates digital products, we can begin to see that yes, this field is large, and yes, you are still included. Of course some of us have expanded outside of the digital realm, but this is where our roots still lay, and many of us, myself included, still work heavily within these roots. There was an awesome post a few months ago that inspired me to think more about UX and the problems we face in owning who we are. It Doesn’t Matter Which Pill I Take; I’m Still in the Matrix, does a great job of talking about the roots of design. Of course we can always have the argument on whether or not you need to know how to code and how much of that you need to know and bla bla bla. 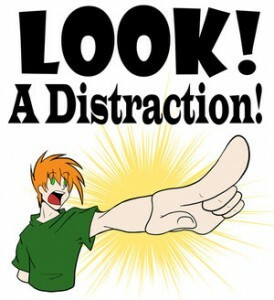 The point I’m making is that the argument is just a distraction. All of the arguments we have on what UX is or isn’t or what UX people do or don’t do are just distractions. They distract us from owning this mindset that we all have from which there is no cure. They distract us from understanding that yes, code is that the base of what you do, and yes, your designs will manipulate it in someway. So instead of building this profession up, these arguments create internal turmoil that hold us back. Thus, we need to stop arguing and define this thing already. We need to say “I’m a UX designer no matter if you think I am or not”. I know this because I have a UX mindset, and I work and manipulate digital products. So there. Now what is the argument?